Natural remedies help against harmful caterpillars? 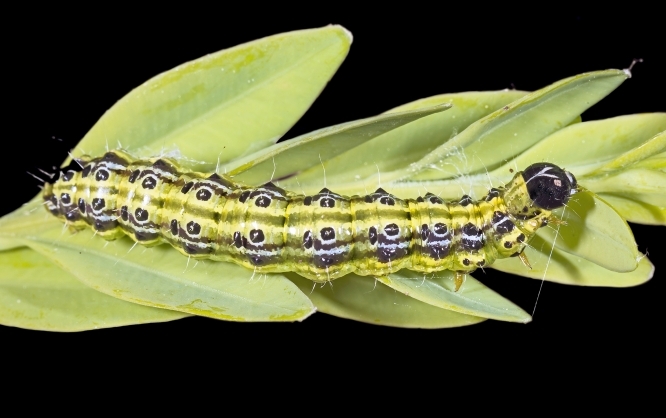 I have had a problem with pyrale du buis caterpillars as they attacked several hedges in my garden. Are there any natural methods I can use against them? V.T.